Most artists get limited feedback, mostly from fellow artists in critique groups. This weekend I spent two days at the Danville Art & Wine Festival and I got a wave of feedback from the art lovers there. What fun to talk about art standing out on the lawn on a sunny day! Every painting on display had at least one fan. 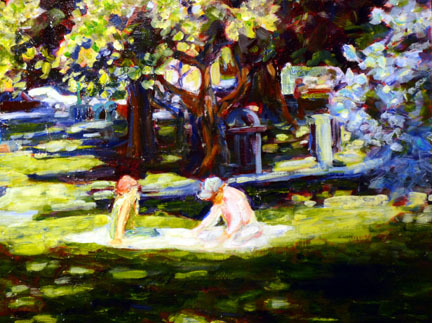 What was it that made Plaza Picnic so compelling to one art lover and the Dancing Prune Trees of Spring to another? 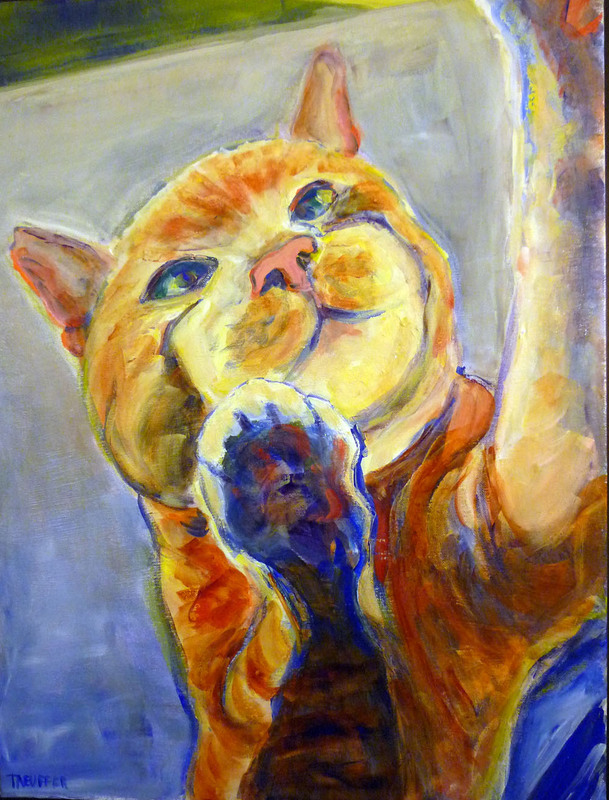 And why do the cat paintings evoke such a strong emotional response and personal stories? It’s a mystery, but I love that peoples’ taste varies so much. I’d hate for any of my paintings to be wallflowers. Thanks to all who attended.